Pushing triple digits outside in San Antonio, the place to be was inside the Alamodome on Saturday as two SoundSport teams took the stage at the DCI Southwestern Championship presented by Fred J. Miller, Inc.
After a performance of the “Star-Spangled Banner” by an ensemble from the University of Texas at San Antonio, the audience was treated to performances by Compass Drum and Bugle Corps of Midland, Texas and Arsenal Drum and Bugle Corps from Albuquerque, New Mexico. 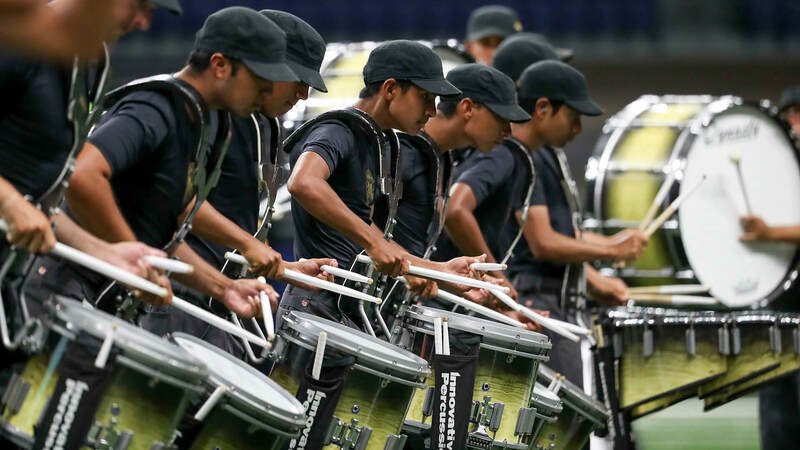 While SoundSport is all-encompassing allowing participating teams of just about any size to use any combination of instruments, both teams performing on the 30-by-20 yard field in San Antonio were essentially mini drum corps. Members of Arsenal perform in San Antonio, Saturday, July 21. Arsenal, earning “Best of Show” honors with a silver rating in the Youth Under 50 category, was a new unit in 2016 and had 33 members its first competitive year of 2017. This past summer witnessed the addition of a color guard and front ensemble percussion section, bringing the group up to 49 members. Compass is a new SoundSport team from Midland, Texas. Compass received a silver rating in the Youth Under 50 category with its performance of “Maelstrom,” based on music of a rather unsettling quality reflecting the threatening nature of a major storm. Dark and ominous-looking flags evolved to bright banners that proclaimed the corps having made it through the turbulence. “This is our first year,” Compass director Josh Bailey said. “We have 50 members and many of them had their first drum corps experience ever when we performed at the Belton, Texas DCI show earlier this week. 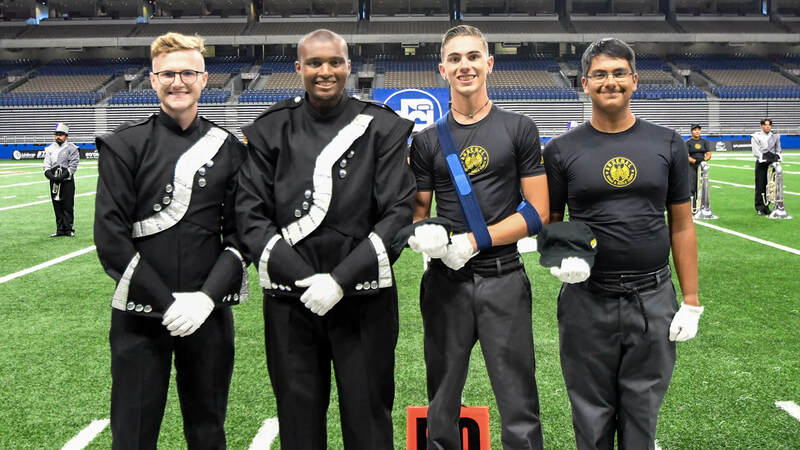 “Some of our members don’t have the time or funds to march in a drum corps, so SoundSport allows them to march and be part of the drum corps community. They were excited to perform in a big venue like the Alamodome and loved lighting up the stadium. Compass and Arsenal drum majors on the field of the Alamodome. Drum Corps International’s SoundSport program, now in its fifth year, continues to grow. According to SoundSport co-founder John DeNovi, the activity now boasts more than 150 registered teams from around the world, with events scheduled in 15 different countries spread across five continents. This growth has helped fulfill his vision of bringing marching music to the masses. Upcoming SoundSport events hosted in conjunction with the 2018 DCI Tour will take place in Atlanta (July 28), Allentown, Pennsylvania (August 4), and the SoundSport International Music and Food Festival on August 11 in Indianapolis.